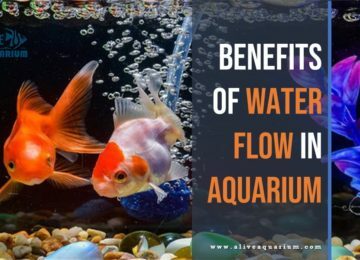 Water movement in aquarium is necessary for a lot of purposes. Read in details why do you need water circulation in aquarium here. What do you actually need for your setup? How will different combinations of equipment affect those needs? How Much Gallons Per Hour (GPH) Water Flow is needed? Different types of filters have different flow rates. Sometimes they will list their GPH; they may just have a tank size rating which indirectly refers to their flow rate. In smaller aquariums, particularly freshwater, you can achieve good circulation with filters alone. The drawback of using filters as primary circulation is that you’ll need to be quite vigilant about regular maintenance not just in cleaning or replacing your filter media promptly, but also in cleaning the inside of your filters and tubing every few months. Sponge filters, undergravel filters, and box or corner filters use air pumps to push water through them at a low flow rate. They may provide sufficient circulation for small tanks where very low flow is desired, like quarantine tanks and fry tanks. External (or HOB – hang on back) power filters and canister filters have the highest GPH ratings. Internal power filters produce less flow than their hang-on counterparts. Power filters are often the primary source of circulation in smaller tanks. Canister filters are pressurized they sit outside your tank, so they have to move water further. If they don’t come with their own water pump, they need one to provide that extra pressure – they may be powerful enough to circulate your tank, but look for one more powerful than you need to counteract any flow loss. Wet/dry filters, also outside or under your tank, require a water pump as well (and often don’t include one). Air pumps and stones aren’t designed for circulation, though they do produce a little movement. Their bubbles (or micro-bubbles, in the case of airstones), do break the water’s surface tension to aid in gas exchange. But these streams of air cannot move your entire volume of water, much less evenly. This explains the lack of GPH ratings on air pumps. they tell you how much air they produce (or how large of a tank they aerate). Therefore, an air pump/filter combo may be perfectly sufficient for small or shallow tanks, but once you get above 50 gallons, you’ll need a water pump to circulate oxygen (barring a powerful pump-driven filter). Some water pumps aerate too, but it’s good practice to backup aeration from filters or pumps, in case of clogs or power loss, air stones will keep going, and can save lives. Water pumps move water without strong currents, ideal for even circulation. Many experienced aquarists recommend 2 less powerful water pumps over 1 pump that meets your total need, this way, if one malfunctions, you have the other to buy you time to fix or replace the first. Water pumps are the best way to ensure total movement of a large tank – if you need directional flow but still want the circulating power of a normal pump, combine it with a powerhead (more in the next section). Powerheads are small, submersible water pumps which attach to the walls of your tank and produce laminar, or uni-directional, currents. They make a healthy addition to a river habitat, providing the right style of current for muscular river fishes to get a good workout. Powerheads are also some of the best tools for saltwater aquariums. They are inexpensive, so you can buy 2 or even more and place them at different points on your tank to replicate ocean turbulence. The other benefit of powerheads for saltwater aquariums is that some models can be attached to wavemakers. Wavemakers are basically power strips with outlets designed to alternate electrical current switching power at intervals between powerheads to create movement close to random alternating currents. This type of vigorous water movement is ideal for reef tanks. GPH, or gallons per hour, is the unit used to measure water movement. Once you know how big your tank will be and what your turnover rate should be, you can calculate what GPH you need from your pumps and filters. For instance, if your tank is 50 gallons, and needs to be turned over 4 times in an hour, you’ll need a pump rated 200 GPH (50 x 4). That said, aim a little higher than you need. Adjust the turnover rate by 1 or look for the next highest GPH rating – this will help you overcome the resistance you encounter from equipment, filter media, plumbing fittings and dirt or clogging in any of those elements. Here are some setup suggestions for scenarios you may encounter. With basic plumbing skills, you can design custom setups with any flow directionality you can dream up, but we’ll stick to commonly used equipment here. For fry and quarantine tanks, an air pump-driven sponge filter provides the circulation you need without damaging fish or removing medicines. For small fish tanks or tanks with betta or goldfish, an internal corner or box filter, also air pump-driven, can be used instead if preferred, although a sponge filter is still a good choice. Look for an air pump with multiple outlets, so you can add an air stone for improved surface gas exchange. In tanks with large specimens, higher GPH (5 or 6x/hr) assists with increased waste. Power or canister filters alone can circulate tanks up to 50 gal or so; add an air pump & airstones to avoid oxygen shut down in case of filter clogs or power outages. Add an aerating water pump or a water pump/air pump combo to tanks larger than 50 gallons to prevent anaerobic dead spots. Plants only produce oxygen while lights are on; during the night cycle of your tank, they use oxygen too. This means you should use them as primary aerators only in lightly stocked tanks; otherwise add an air pump/air stone. Keep an eye on your fishes do they enjoy playing in the current? Or do they seem to avoid it? You may need to adjust the flow to strike the right balance. Make sure any submersible devices you use are saltwater safe. Avoid aiming currents directly at hiding spots or invertebrates. Position powerheads for surface agitation, but avoid angles that produce salt spray, which can damage lights and other equipment near your tank’s surface. When investing in aquarium equipment, pay a little more for trustworthy name brands. you don’t want this equipment to fail, and you want it to function well for a good long time, so don’t take risks with quality that will come back to haunt you. When it comes to GPH, estimate up and put a ball valve on your water pump to adjust down. Two small pumps are better than one large pump. Whatever your main circulation method, it’s cheap insurance to add a small air pump and air stones to prevent oxygen shut down during filter clogs or power failures. Observe your tank daily this is the fun part! 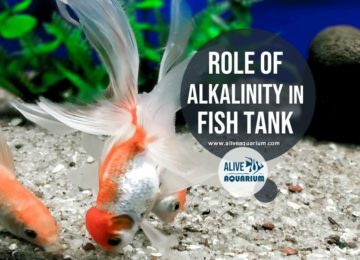 A well circulated tank promotes growth and health. If you notice stalled growth or stress after increased or decreased flow, adjust as needed. If fishes are having trouble swimming or getting anywhere, lower your GPH. 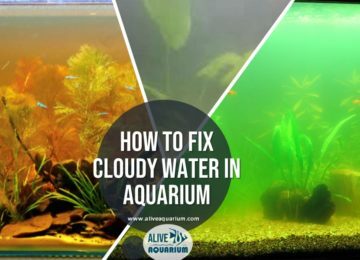 Proper circulation, along with filtration and lighting, is a foundation of aquarium success, and it shouldn’t be confusing or daunting to experiment with and find the proper setup for your aquarium. Hopefully you’re now prepared to do just that!